The Akwa Ibom Commissioner for Health, Dr. Dominic Ukpong, said on Friday that two hospitals had been sealed up for malpractices. Ukpong made this known to newsmen in Eket. “I have shut down two hospitals for malpractices. We inspected them and found that they do not conform to hospital standards. Ukpong refused to give the names of the hospitals but only said that one of them was owned by someone from a neighbouring state. He added that the ministry had sacked one medical doctor for allegedly stealing beds while some health practitioners were also sanctioned for negligence in their duties. “I caught some health workers either sleeping on duty or careless about their patients. “Those who were negligent in their duties, I have moved them to my office. Ukpong said that the ministry conducts regular checks to identify negligent health workers. According to him, the state government has commenced the construction of a state-owned hospital at Itu-Mbang in Uyo which will be inaugurated by May 2018. “We are constructing a state-owned hospital at Itu-Mbang; we don’t have a state-owned hospital in Uyo, the state capital. The commissioner said that state government also planned to build quarters for doctors and house officers. The post Akwa Ibom Govt. 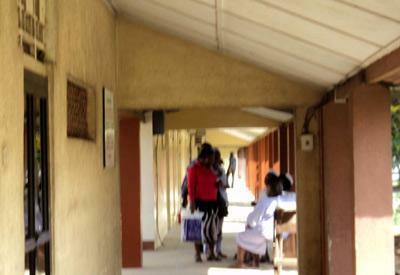 seals up 2 hospitals for malpractices appeared first on Vanguard News.